Does butter really make everything better? I believe that for most people bacon makes everything better, but seeing how I don't eat bacon, butter usually does make everything better. Especially in these biscuits, brushed lightly on the tops with butter and sprinkled with cinnamon and sugar, yum! Butter is an ingredient that most people say is bad for you, but in moderation it's okay with me :). I on the other hand will not be found eating margarine or any butter-like spread. I buy real butter, and usually only unsalted. I love to bake with it and eat it! I haven't made biscuits in a long long time, for no good reason. I usually just don't want to cut in the butter, lazy I suppose. It's really easy to do though and doesn't take much time. 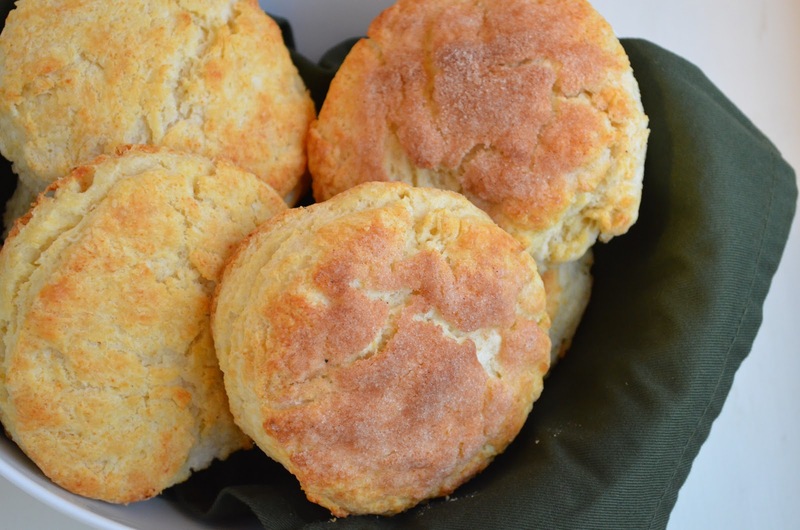 If you've never made biscuits you definitely should. 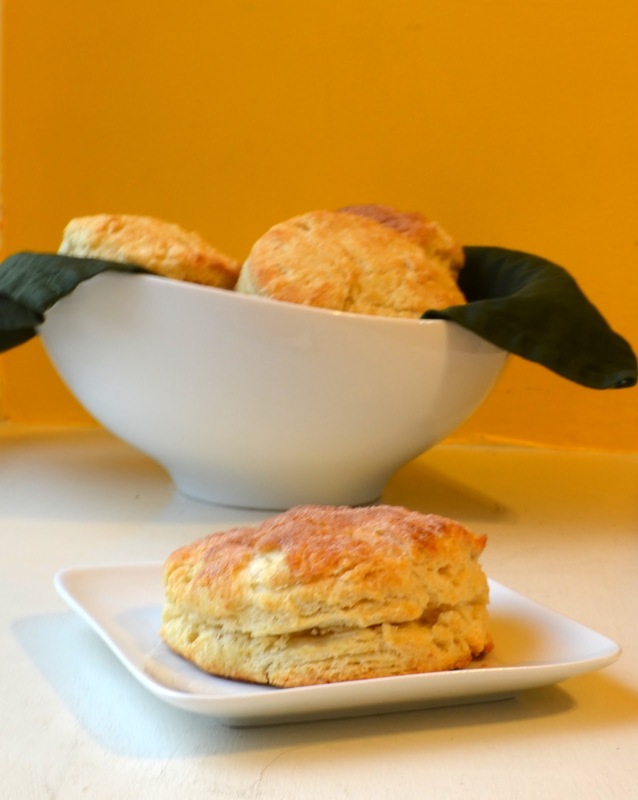 There's not much like a warm biscuit split in half and topped with butter. I topped half of the biscuits with the cinnamon-sugar mixture, and left half of them plain (with just butter brushed on the tops) but you of course can make them however you want too. Happy Baking! 1. Preheat oven to 450F. Combine the flour, baking powder, sugar, salt, and cream of tartar in a large bowl. Mix the ½ cup butter into the flour mixture using a pastry blender or two knives until the mixture is about the size of peas. Add in the milk and stir until the mixture just comes together. 2. On a lightly floured surface, gently knead the dough several times until it comes together. Gently roll out the dough to about ¾” thick, then cut with a 3 ½” cutter. 3. 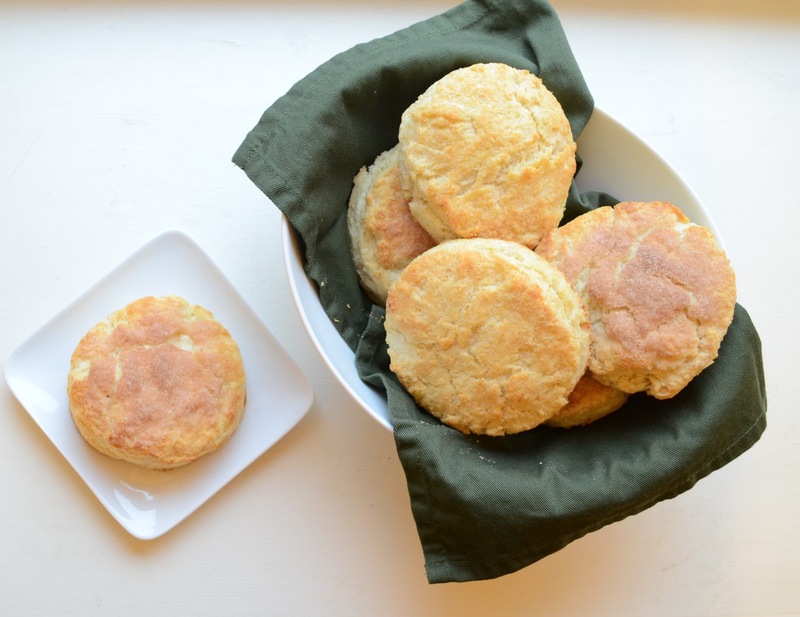 Place the biscuits on a cookie sheet. In a small bowl mix together the granulated sugar and cinnamon. 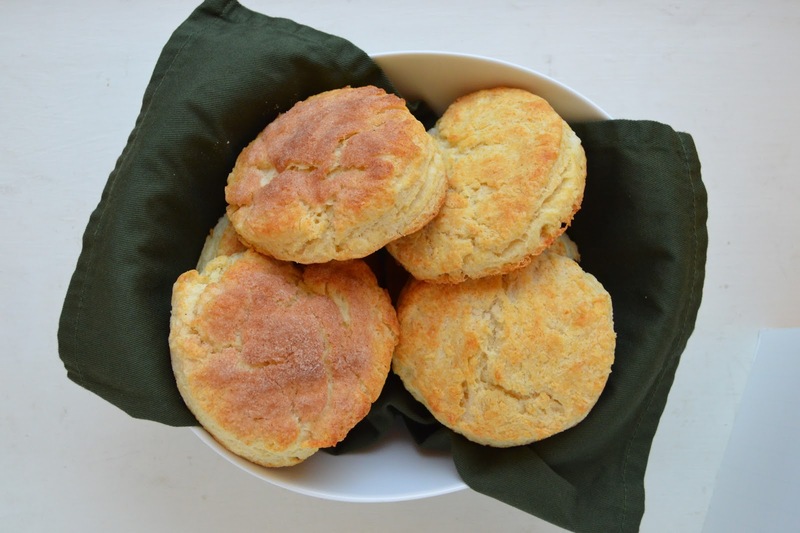 Brush the tops of the biscuits with the melted butter, then sprinkle evenly with the cinnamon-sugar mixture. Bake for 13-15 minutes or until golden brown. Cool slightly, then serve. Snickersnaps and a Happy New Year!